Growth form: Perennial grass. Flowering. Apr. Status: Native. Common. Also recorded: Bahrain, E Saudi Arabia, UAE. 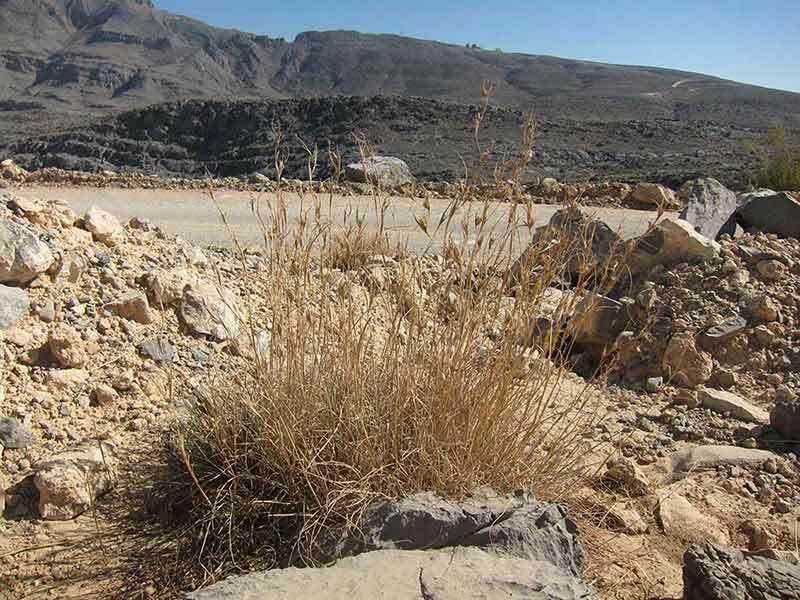 Habitat & distribution: Occasional to locally abundant in silty or sandy depressions and runnels; mainly N and C Qatar. Large tussocks of this lemon-scented species dominate silt pans in parts of Ras Laffan Industrial City where there is no grazing. Uses: Grazed, particularly by sheep. The leaves have a strong lemon scent when crushed. Mandaville mentions that there is a history of medicinal use for this species in Arabia. Jongbloed et al. state that plants of the genus are cultivated for citronella oil for use as perfume and insect repellent.